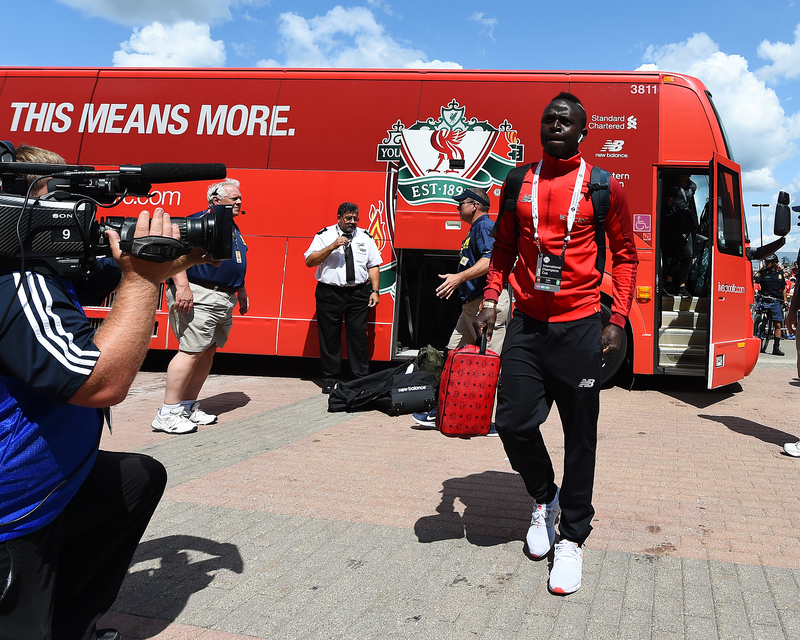 Follow live updates, news, videos, photos, social media buzz and more on the eighth and final day of Liverpool's pre-season tour of America, with the Reds set to face Manchester United in Michigan. The Reds clinch an emphatic win over their old rivals at The Big House in Michigan. Sadio Mane's first-half penalty set them on their way, though it was cancelled out by Andreas Pereira's long-range free-kick soon after. Daniel Sturridge restored the lead soon after coming on midway through the second period, and Sheyi Ojo's spot-kick furthered Liverpool's advantage. 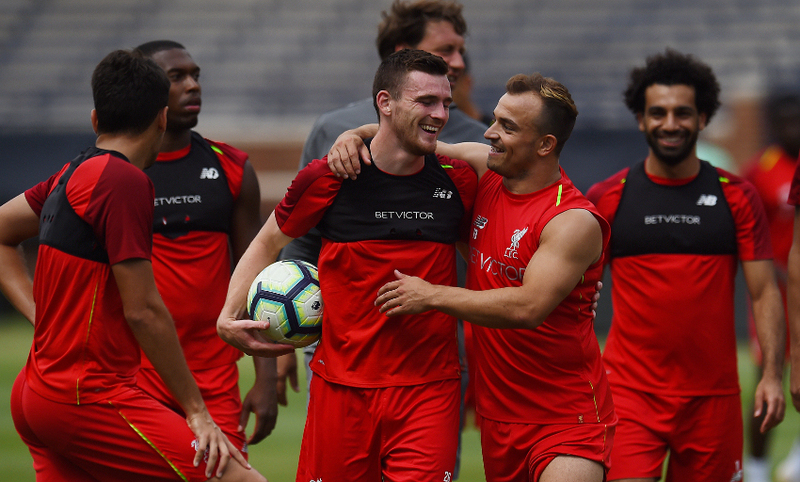 But the moment of the match was left to debutant Xherdan Shaqiri, who marked his first appearance for the Reds with a magnificent overhead kick to seal the win. 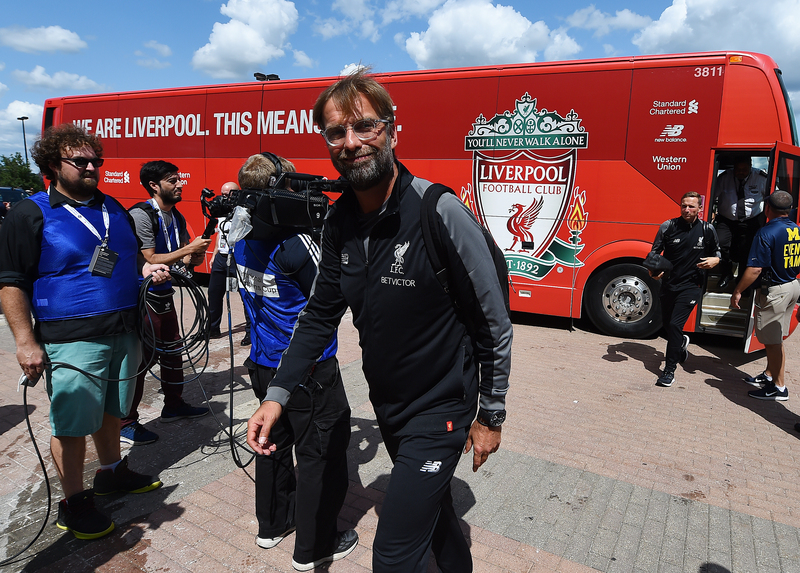 Jürgen Klopp's team now return to Merseyside ahead of next week's training camp in France. 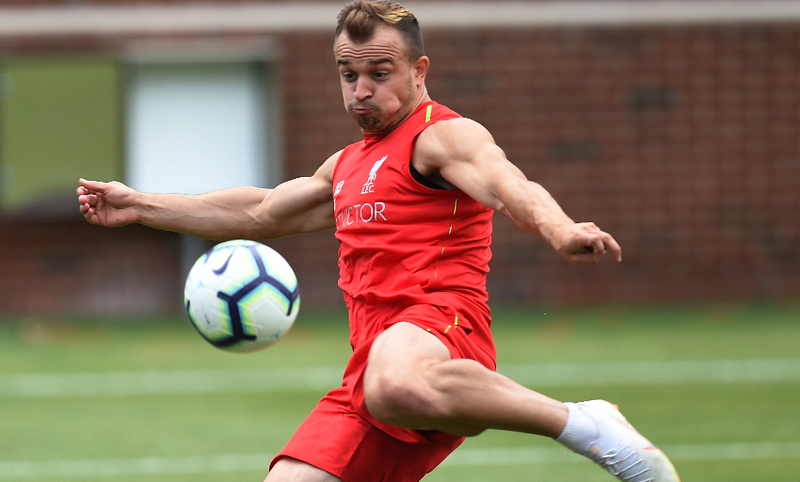 Xherdan Shaqiri marks his Liverpool debut with the most sensational of goals. Ben Woodburn keeps a loose ball alive near the touchline on the left of the area. 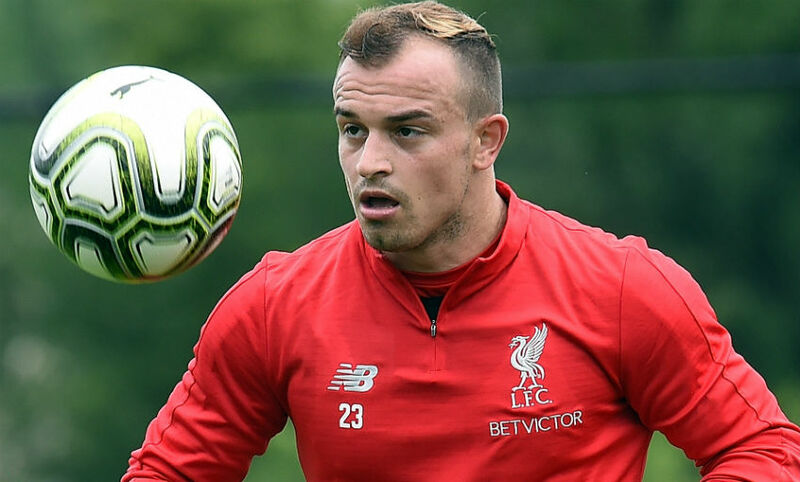 He looks up and crosses back into the middle for Shaqiri, who finds the net with a stunning overhead kick. What a way to mark your first appearance for the Reds! Phillips gives the ball away and United break into the area through Sanchez, but the young defender makes an outstanding recovery to block the eventual shot. Ojo takes his time with his run up and slots into the corner. Robertson is deemed to have been upended by Herrera inside the box and it's a spot-kick to the Reds. He's literally only been on the pitch a matter of seconds, but Daniel Sturridge has put Liverpool back in front. Shaqiri does superbly to hold off Bailly inside the area before rolling it back to the striker, who - almost nonchalantly - slots it into the bottom corner. 2-1 to the Reds at The Big House. Sturridge, Gomez, Robertson, Jones, Grujic and Chirivella are on. 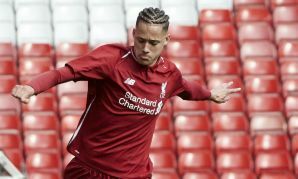 Solanke, Moreno, Van Dijk, Camacho, Milner and Fabinho are off. Ojo heads Camacho's cross to the back post into the ground and towards the far corner. It looks for a second as though it's heading it, but Bailly manages to clear the danger from in front of the lin. Fabinho goes into the book for a challenge on Sanchez. Liverpool restart the second half. Five second-half changes for Liverpool - Shaqiri, Ojo, Woodburn, Kelleher and Phillips on for Klavan, Lallana, Grabara, Mane and Salah. Sadio Mane gave the Reds the lead at The Big House, but it was cancelled out shortly after by Andreas Pereira's pin-point free-kick from range, meaning we're all square at the break. Camacho does superbly to scamper beyond Axel Tuanzebe and into the area. He pulls it back towards some players arriving into the area, but it narrowly evades them all and United scramble away. 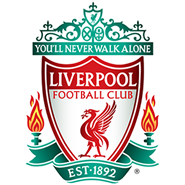 Van Dijk plants a header towards goal from Milner's corner; however, it's straight at Grant. Camacho drills a ball right across the six-yard box, but Mane can't quite reach it to convert. United draw level almost instantly as Pereira finds the net with a long-range free-kick. For the second game running, Mane makes no mistake from 12 yards. Salah is brought down in the box by Fosu-Mensah and the Reds have a spot-kick. Salah and Lallana combine well to open up the United defence down the right, but the latter's cross is blocked in the six-yard box. Mata has the ball in the net again - this time finishing smartly from Sanchez's long pass forward - but he's thwarted by a raised flag once more. Salah has another headed chance; this time he can't generate any power on it as Mane picks him out with a cross and it's an easy take for Grant. The resulting corner sees Van Dijk nod it back across goal, where Solanke tries to glance in, but somehow United manage to clear it off the line. Salah goes close to opening the scoring as Mane's lofted pass finds his run into the area. The Egyptian tries to loop it over Grant from six yards out, but the 'keeper is able to tip over. Mata has the ball in the net as he latches onto a pass in behind the Liverpool defence and lofts it over Grabara, but he's offside. Half a chance for the Reds as Camacho picks out Milner's run into the area with a throw in. He crosses low, where Solanke tries to flick it into the net under pressure, but Lee Grant manages to make the block for United. 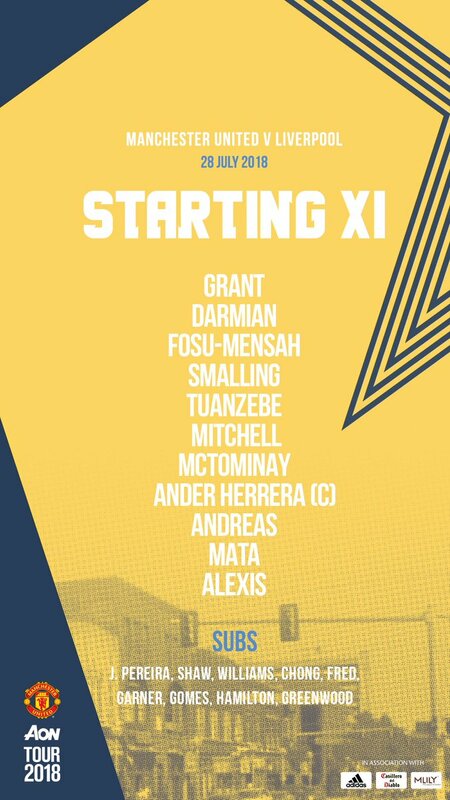 Late change to the United teammate - Eric Bailly starts in place of Chris Smalling. 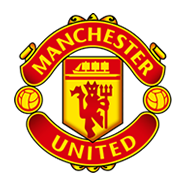 Manchester United start the game and we're up and running in Michigan. What a chance ahead for Kamil Grabara. 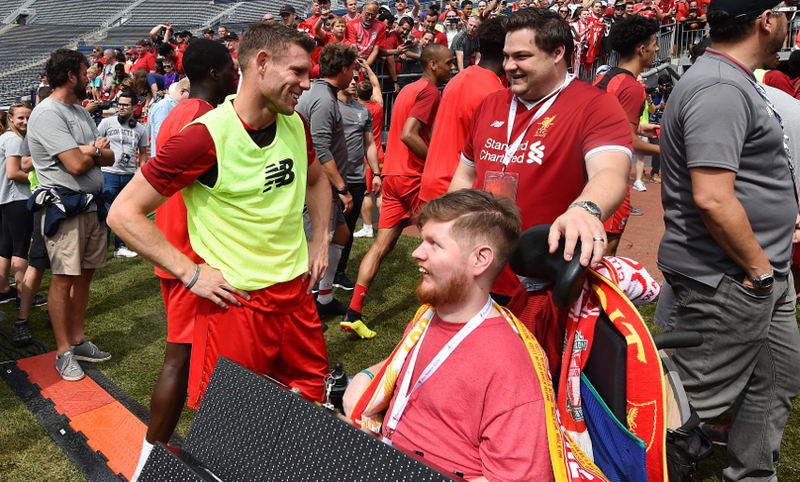 "I've been waiting for this moment since I joined Liverpool," the goalkeeper told LFCTV before kick-off at Michigan Stadium. "I was fighting and I think I deserve this opportunity." 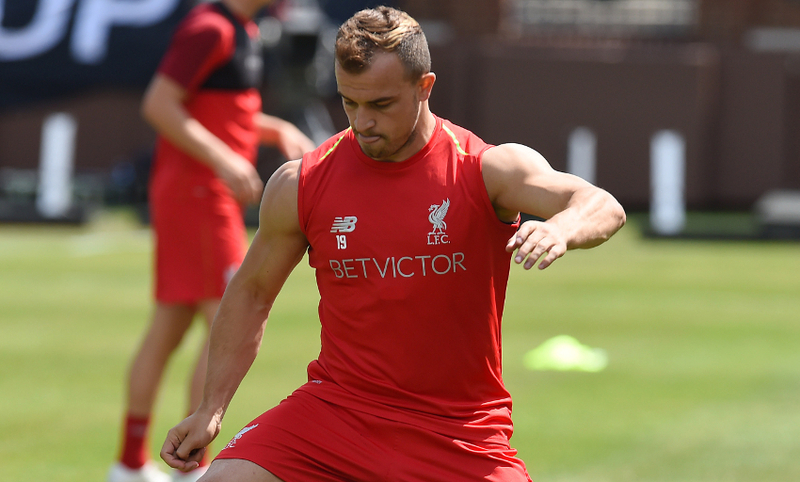 Jürgen Klopp has confirmed Xherdan Shaqiri will be given his Reds bow in the second half of this evening's game. "He will play in the second half, we will see how long, but he will play for sure," said the boss. 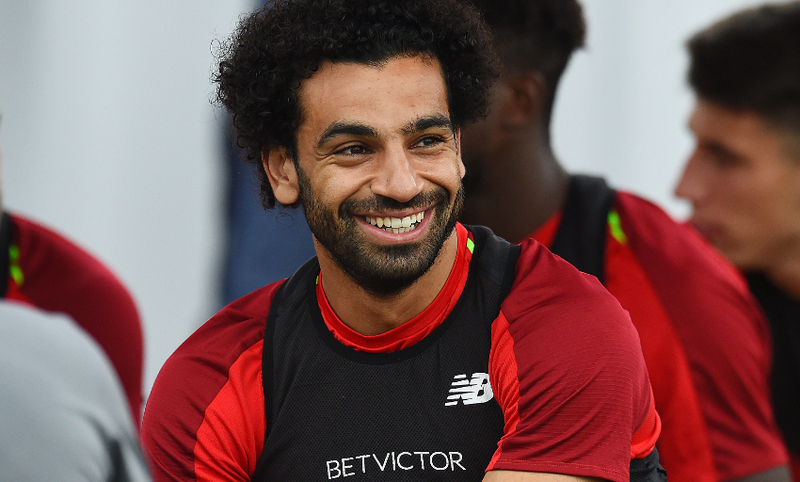 For more from Klopp on his team selection, including the starts for Mohamed Salah and Sadio Mane, click here. Liverpool players are out on the pitch at The Big House checking out the surface. Mohamed Salah is given the loudest cheer as he makes his way out. 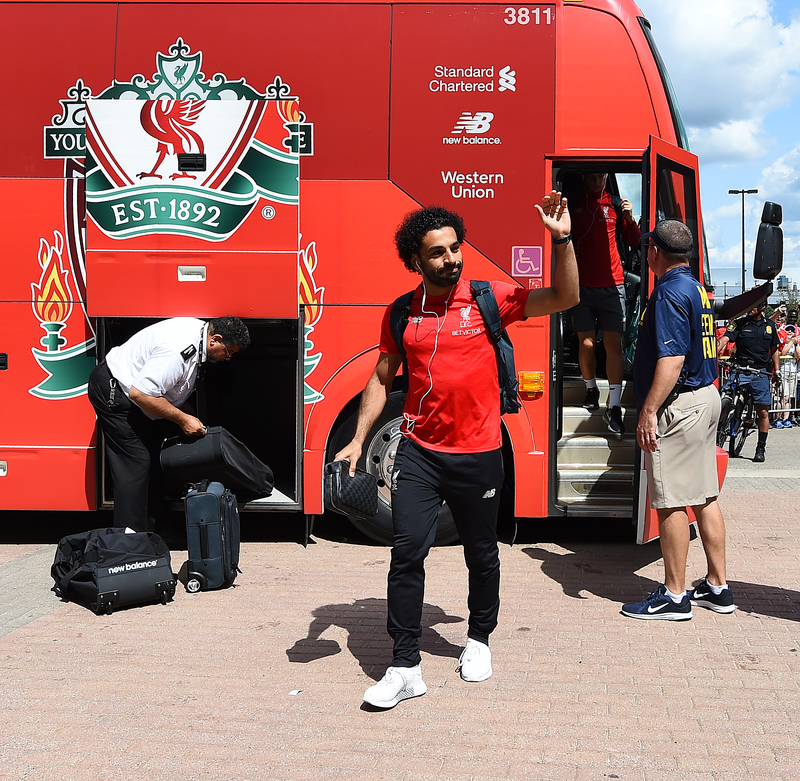 Sadio Mane and Mohamed Salah start for Liverpool against Manchester United, while Academy stopper Kamil Grabara is in goal at Michigan Stadium. 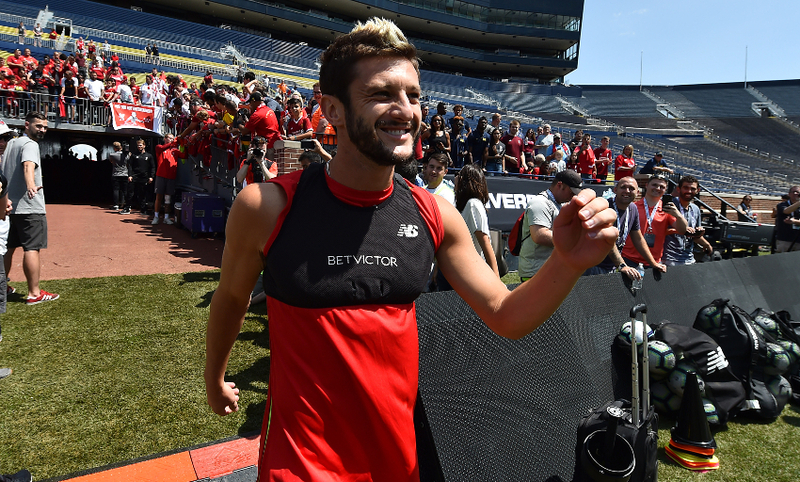 The Reds have certainly been making a splash in Michigan since arriving on Friday morning. 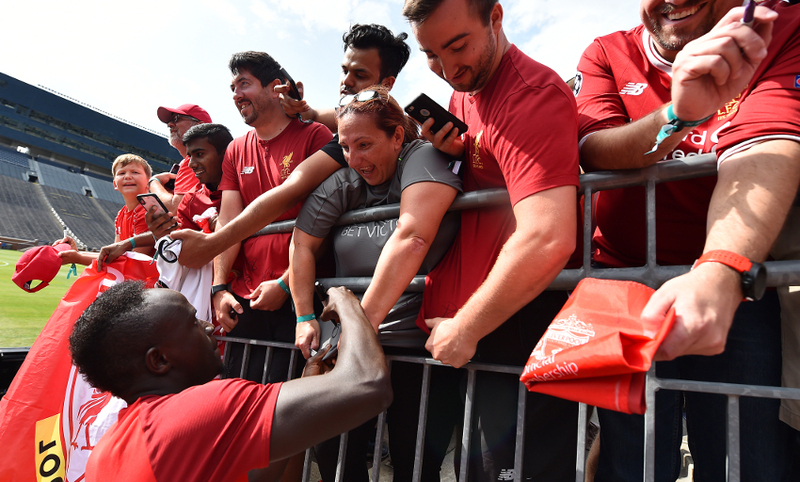 There have been fans camped outside the team hotel on a constant basis, and they were in good spirits as they ran through the LFC songbook earlier today. 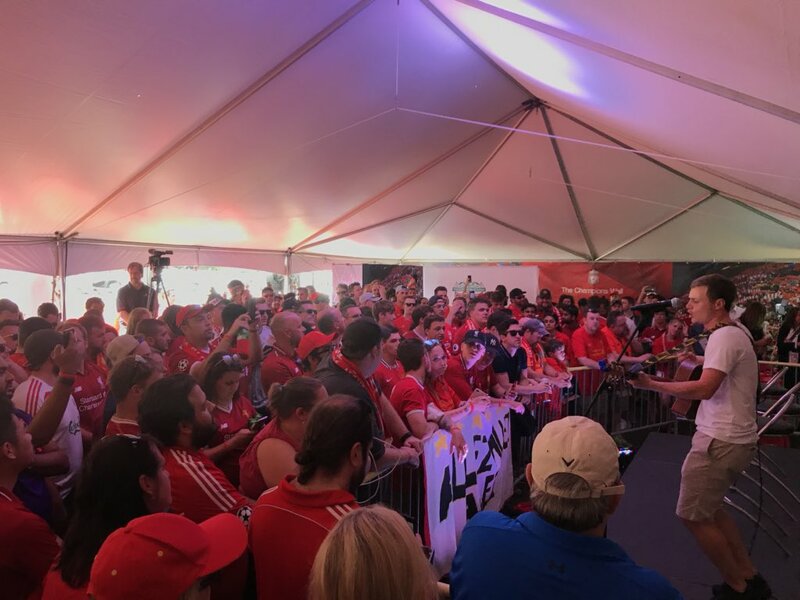 Everywhere you go, people are talking about the game and the locals are confident there'll be a full house inside Michigan Stadium for the match. Stepping away from events in Michigan for the moment, Dejan Lovren is enjoying some well-deserved time off after helping Croatia to the World Cup final. And, if you're interested in that sort of thing, the defender has revealed a new hair style on his official Instagram account today, which you can see below. It is, indeed, very, very big. 77 degrees on the thermometer at the moment and that might creep up slightly before kick-off. The players will be working up a sweat in The Big House, no doubt about it. The Reds treated us to a comeback victory over Manchester City in midweek - enjoy the highlights of that game, featuring goals from Salah and Mane, below. 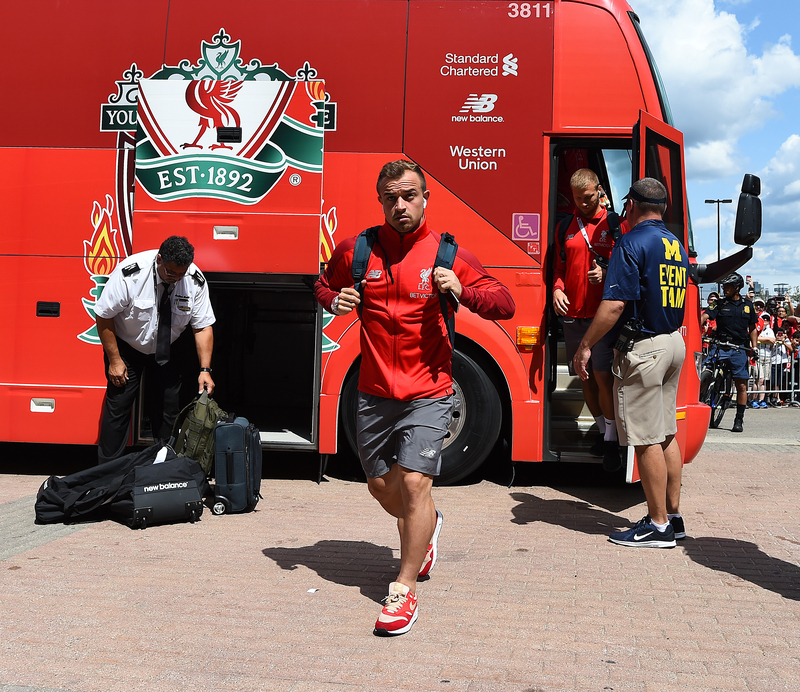 Will Shaqiri make his debut tonight? 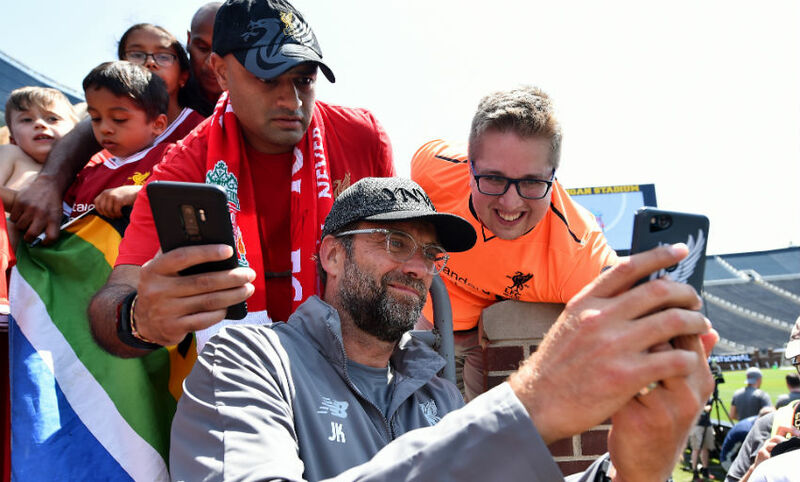 "We will see," is what Jürgen Klopp told us when we asked him that very question on Friday. "He has had four days of training and will probably be involved in the squad, so maybe he can play a few minutes. "Playing too long makes not too much sense at the moment, but he will be in or around for sure." 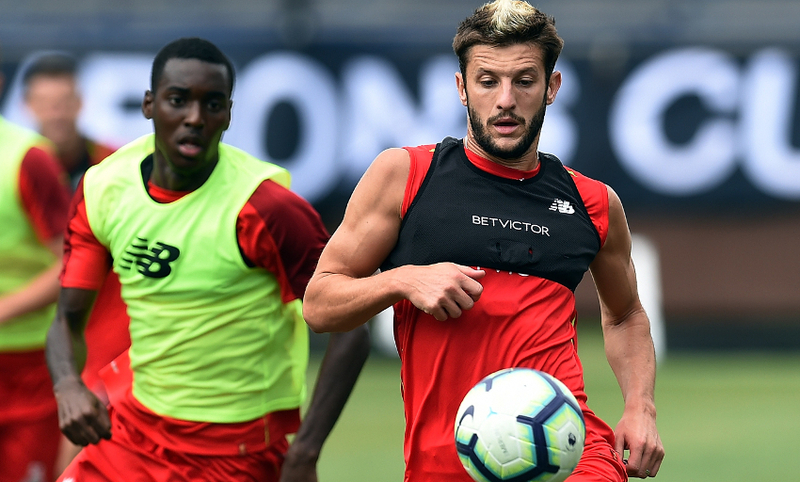 One man likely to miss out, though, is Naby Keita. Liverpool's No.8 has a stiff neck and did not train yesterday. Nathaniel Clyne is definitely unavailable, of course. He's back in the UK following the birth of his son. 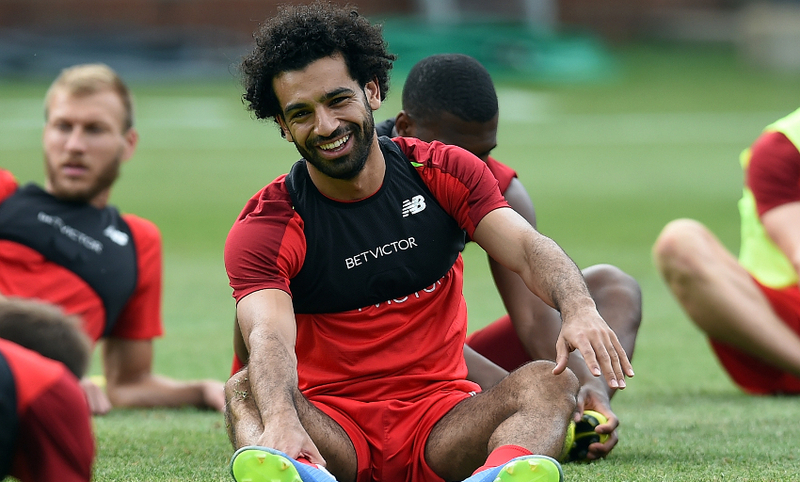 Those were the words of Mohamed Salah when he spoke after training on Friday. “I am very happy to be back. I feel good and my shoulder is much better. 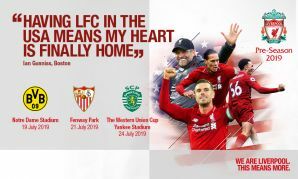 I’m very happy to be back in the squad," said the Egyptian king. That was Adam Lallana's reply when Liverpoolfc.com asked him if clashes with Manchester United can ever be considered friendlies. 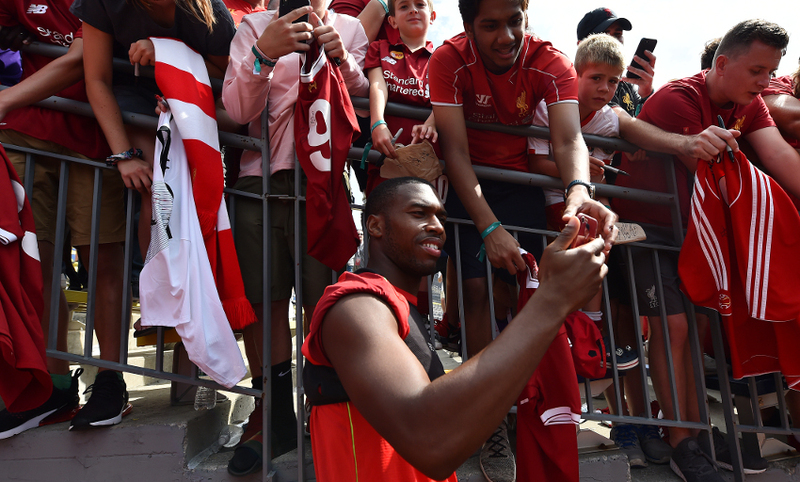 “None of these games are, especially when you’ve got the atmosphere and the fans here. It just feels like a normal game and I’m sure that will be the same tonight,” said the midfielder. Shortly after he'd addressed the media, Klopp oversaw training at the 107,000-capacity 'Big House'. 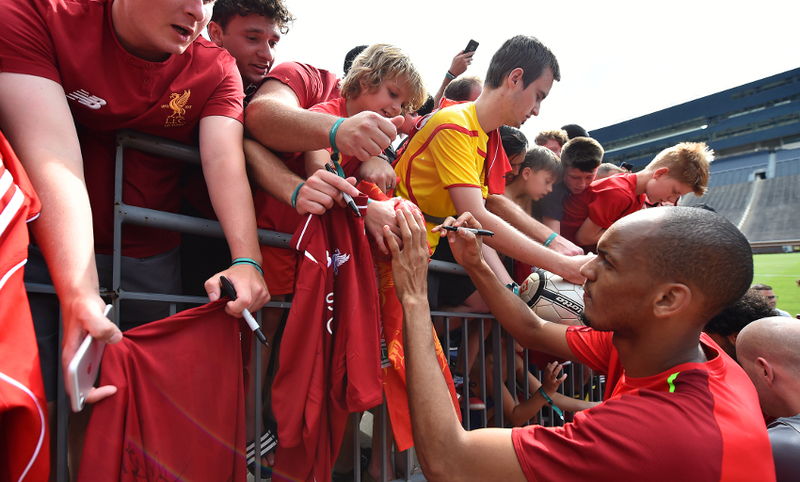 We're up and running on the eighth and final day of Liverpool's pre-season tour of the USA. 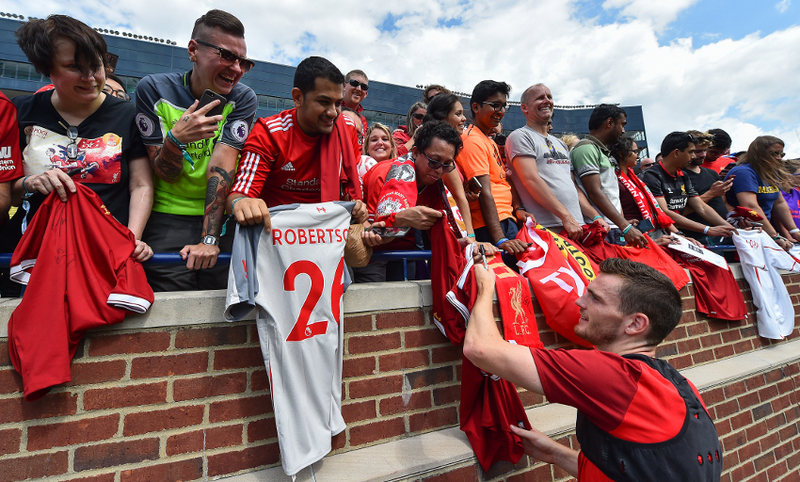 As ever, we'll keep you bang up to date with everything that's going on in the Reds' camp ahead of the match at the Michigan Stadium - which kicks off at 10.05pm BST (5.05pm local time).